dare i say we are all conscious enough to know that around the world the standards of living vary drastically, and that the basic things we are fortunate enough to have and use on a daily basis don’t come as easily to others located in other parts of the globe? take for example, clean water for drinking. 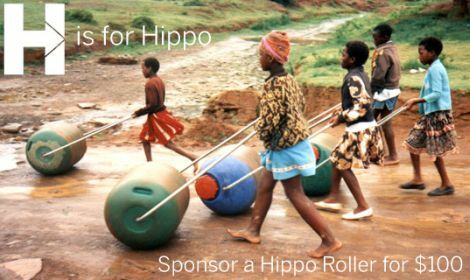 project h, an organization that promotes and produces humanitarian product design supports the hippo roller. this is an innovative barrel that makes collecting and transporting water safer and more efficient in remote locations. the barrel holds about five times more water than what can be collected using traditional methods. in april, project h will be traveling to south africa and has plans to hand 50 hippo rollers over personally to a group of 17 villages in the community of kgautswane. they need assistance in funding this project. for just $100, you can participate by sponsoring one of these thoughtful products that will aid and support the fulfillment of a basic need. if you believe that thoughtful design can change communities and lives, maybe this is something that will interest you too. the deadline is april 13th, 2008.
sign yourself up or get some friends together and sponsor a roller right here. this really blew my mind when i saw it. fulfilling a basic human need should not have to be so difficult, and this water barrel is so thoughtfully designed. i am absolutely sponsoring one of these!